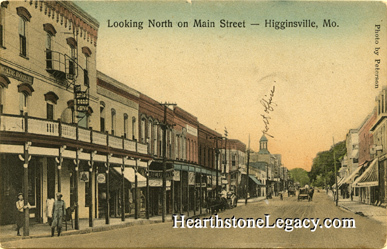 This postcard view pictures Main Street as a dirt road from near the railroad crossing and looking north. The first building at left is the Arcade Hotel. Published by Jesse E. Koppenbrink and printed in Germany. Photo by Peterson. The postcard was postmarked in 1912.